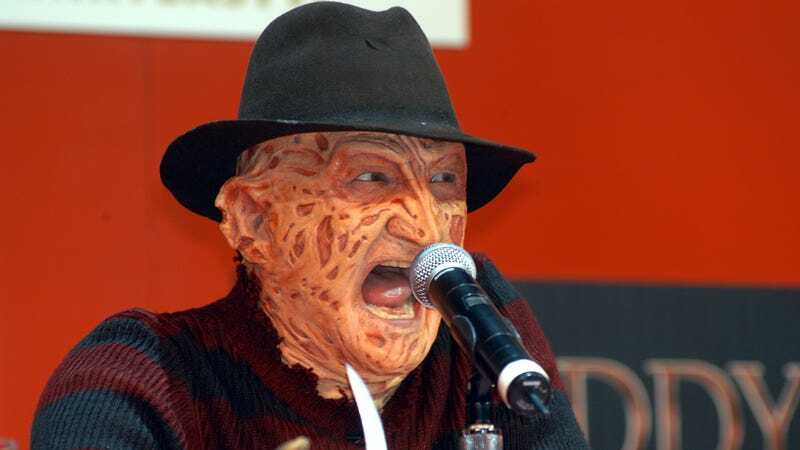 It’s now been 15 years since Freddy Vs. Jason, the last time horror icon Robert Englund strapped on the clawed glove and dapper fedora of Frederick Krueger, Professional Pun Murderer. (Jackie Earle Haley took on the role for the inevitable 2010 reboot of the Nightmare On Elm Street franchise.) But now, Elm Street’s most relentlessly chatty slayer of children is making his way to Jenkintown, PA (and network TV), with ABC announcing this week that Englund will reprise the role on an upcoming Halloween episode of The Goldbergs.